The Philadelphia author's new novel is moving and ambitious. The first time we meet Ada Sibelius, she’s a child at an adult dinner party — mixing gin rickeys, serving appetizers and dissecting favorite books with people many times her age. 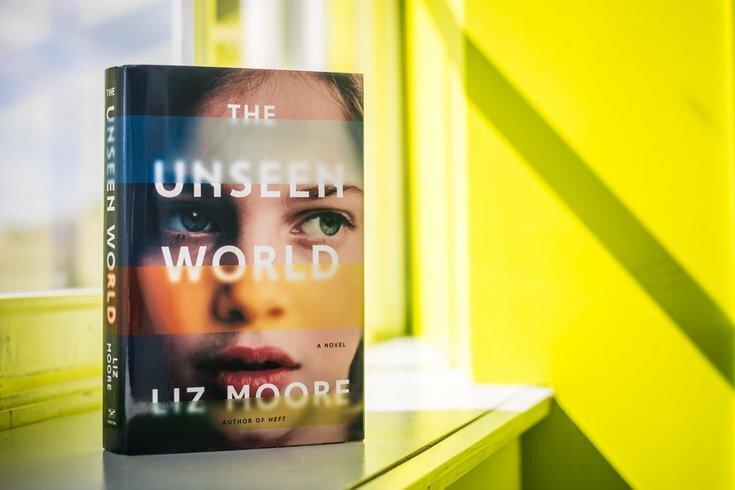 For much of Philadelphia author Liz Moore’s moving, ambitious new novel, “The Unseen World,” that’s how she remains: a kid in a grown-ups’ world. Her father, David, has raised her as a single parent, schooling her at home in literature and classical music and at his computer science lab at Boston Institute of Technology, aka “the Bit.” David’s scientist colleagues become Ada’s friends and teachers, and, for a while, that seems to work for everyone. But when David’s mind begins to falter, and it becomes clear he can no longer care for himself, let alone his 12-year-old daughter, he’s moved to an assisted living facility. Ada is thrown quite harshly into the world of Catholic school, peers her own age and childhood itself. Yet it’s in the small moments, in Ada’s quiet observations of people, that Moore’s writing moves us. As if the mysteries of middle school weren’t challenging enough, she soon realizes her father might not be who she, or anyone, thinks he is. The novel then road-trips to 1950s small-town Kansas, D.C., Silicon Valley and, always, back to 1980s Dorchester with not a hiccup in tone. Moore deftly elicits the pangs of Ada’s embarrassment from, and sympathy for, the most important person in her life. Fascinating, too, is the exploration of artificial intelligence, its history and development made exciting and somehow tangible. Indeed, the backdrop for this identity story is the tech industry — from the early ’80s in the Bit, to the startups of the ’00s in Palo Alto, to sometime “soon” at the novel’s extraordinary close, which weaves together its many threads into a satisfying and thrilling conclusion. Liz Moore celebrates the release of 'The Unseen World' Friday, Sept. 30 at Head House Books, 619 S. Second St.